EXPO-TEX INTERNATIONAL is a used textile machinery consultant for over a period of last 26 years catering to lot of textile companies in India. 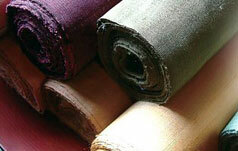 It is run by expert who himself is qualified Textile Engineer from Germany. We provide services like sourcing machinery ,inspecting, dismantling/assembling, from all over the world with networks of partners/dealers. Re-erection work also can be provided. We normally suggest direct purchase from seller any where from world through Our network of contacts which have developed since last many years and is growing very large and the name Expo-Tex has been recognized and well reputed .Our working method is very simple i.e. transferring property from seller to buyer at a nominal professional fees which is charged by us. We are one of the few machinery consultants in the field of Narrow Fabric Machinery which includes machineries like Needle Looms, Crochet Knitting , Rubber Covering and Warping, Finishing & Dyeing, Packing & Winding Machines, Label Looms, Braiders for laces and cords. We also offer new Machineries in the field of preparatory Machines like Direct and/or Sectional Warping Machines where we represent HARSH-TAIANA (Indo Italian joint Venture) in full range. We also offer new finishing and preparatory machinery of Tontun Ind Corp, Taiwan for narrow fabric manufacturers of nylon, polyester and cotton which include woven Bands, Crochet Bands, Elastic and non elastic tapes, satin tapes, velvet tapes etc.